Writer and illustrator Jessie Oleson Moore spotted the perfect opportunity to turn her love for all things unicorn into a profit-making self-publishing project. It turns out she’s not the only one with a love for a little bit of color and magic. With nearly 15,000 units sold already, we caught up with Jessie to find out the story behind her self-publishing success, The Unicorn Coloring Book. 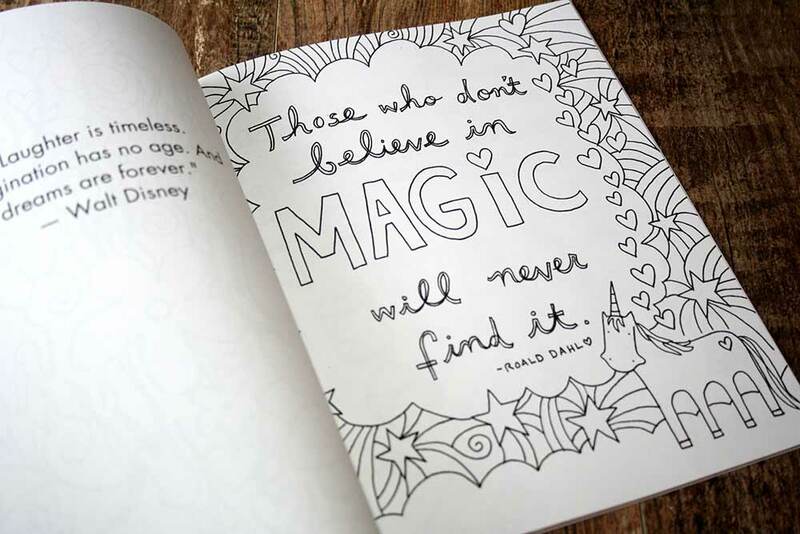 Where did the idea for your coloring book come from? I’m a freelance writer and illustrator by trade. Having noticed the trend of grown-up coloring books a few years ago, I pitched the idea of creating a few free coloring book page downloads for Craftsy.com, one of the websites I write and provide content for. They proved very popular, with thousands of downloads. This gave me the idea to create a full coloring book with my artwork. Everyone who knows me knows that I’m basically part unicorn, so creating a unicorn-themed coloring book was a no-brainer. Did you know you wanted to sell it for profit? Yes. I’m a commercial artist, and creating art is my livelihood. As such, I typically always have an eye on profit when I create artwork. Why did you choose Blurb? I had heard of Blurb years ago from an acquaintance who used it for printing photo books as gifts. When I began to look at my options for self-publishing a coloring book, I looked at a variety of services. I was most impressed with Blurb because it seemed to have the full package—good pricing, a great and easy-to-use layout program, and beautiful, professional-looking finished products. Who did you plan to sell your book to? Originally, just to followers of my website. My thought was that I’d sell my books online myself. My original goal was to sell 100 books—I really felt that anything over that would exceed my expectations. Was listing your book on Amazon important to you? At first, honestly, no, because I didn’t know it was an option! But as I explored Blurb, I was intrigued by the idea of selling on Amazon. I figured it would be a cool feather in my cap and maybe it would expose my book to a greater audience, so why not give it a try? Now that I have made a few more coloring books with Blurb, I see it as an important part of self-publishing success. Did you make a marketing plan for your book? My goal was to sell 100 books. But I didn’t really have a detailed marketing plan beyond that. I just saw that there was a potential market for a coloring book, and thought I’d give it a try. Do you consider your book a self-publishing success? If so, what made it successful for you? To say that The Unicorn Coloring Book is a self-publishing success would be an understatement. I’ll get real with you about why: My original plan was to pitch the book idea to traditional publishers. At the time, I had already published two via the traditional route, and I thought that was the way to go for a project to be ‘legitimate’. However, I had little luck pitching this idea to publishers. Some didn’t even reply, others thought that the subject matter was too specific. Basically, I was hitting a lot of resistance. I realized that I was unwilling to compromise on my vision for this book—it had to be all unicorns, all the time, and I couldn’t water down my brilliant idea! So, after hitting wall after wall, I decided to say “see ya later” to traditional publishers and go it alone. I took the time to lay it out in BookWright, and was happy with the outcome. When I ordered my first print run, I sold out within days. Then, when it hit Amazon, sales began to snowball. It was a slow build, but then it really began to gain traction. I’m not sure how many units have sold at this point, but I think it could be close to 15,000! Yep—this totally blew away my original goal of selling 100 books. I never could have done that without the backing of Amazon sales! The Unicorn Coloring Book has sold more copies than both of my first two books (through traditional publishers) COMBINED. The idea that I did it myself makes me feel incredibly proud! It prompted me to create two more coloring books via Blurb. 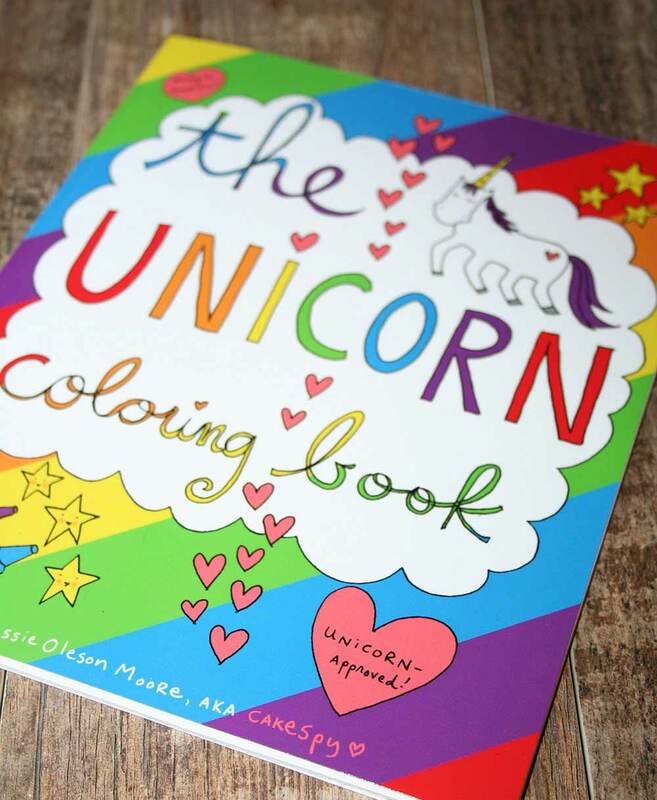 Another Unicorn Coloring Book, and The Cupcake Coloring Book. I’m not saying that I would eschew the traditional route. I’ve continued to write and illustrate books which have been published through incredible publishing houses. However, I think that for certain projects, self-publishing offers an incredible way of bringing your vision to life. What would your advice be for would-be self-publishers? First and foremost, self-publishing rules. You can really stick with your vision for a project and see it through. I don’t know if anyone out there feels that having a traditional publisher is necessary for a book to be “real”, but it’s not the case at all. Self-publishing allows you a ton of freedom! That being said, you really need to take the time to do things right. Even though you’re not working with a traditional publisher, I think it’s important to treat the project with the same amount of professionalism. That means carefully planning out your book, making an outline, and taking the time to edit and format things correctly. BookWright makes it easy to lay out a project professionally—I highly suggest making use of that great tool. And have fun with it! Thanks so much Jessie for sharing your story. We’re off to sharpen our coloring pencils! I loved this article and congratulations to Jessie on the success of her book!